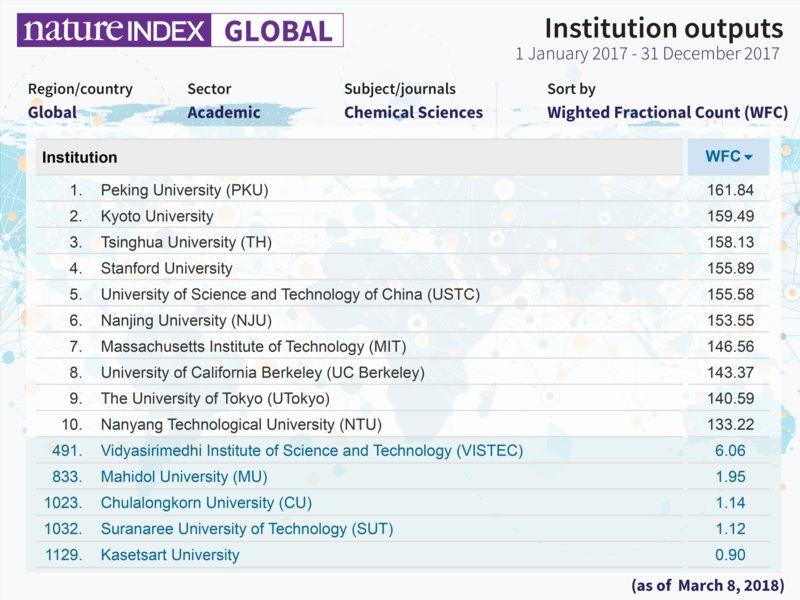 VISTEC’ faculty members and researchers made high-quality and high-impact researches possible in the field of advanced science and technology that are significantly included in the nature publishing index, which is a global indicator for evaluation of high-quality research by universities and research institutes across the world. 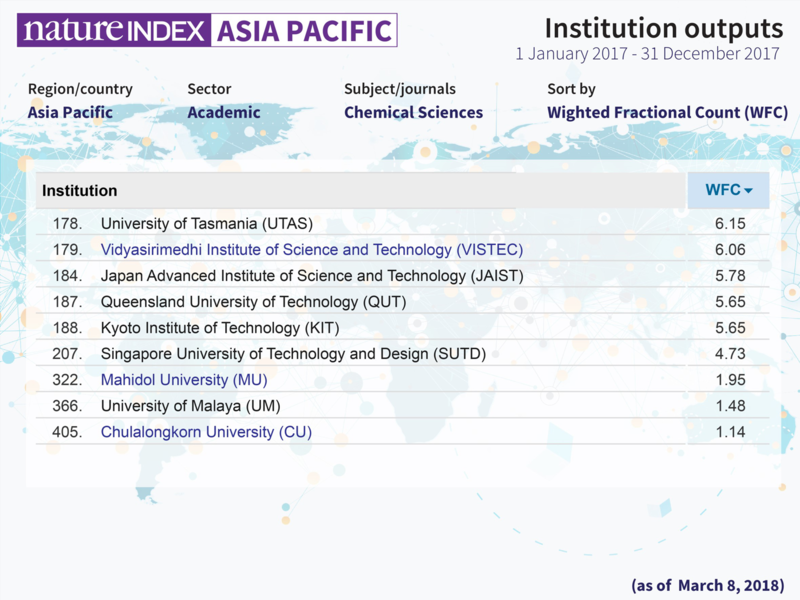 For all subjects of science with the reference period starts from December 1, 2016 to November 30, 2017, VISTEC ranks 2nd among Thailand universities, behind only Chulalongkorn University, and we climb 5 places compared with last year. 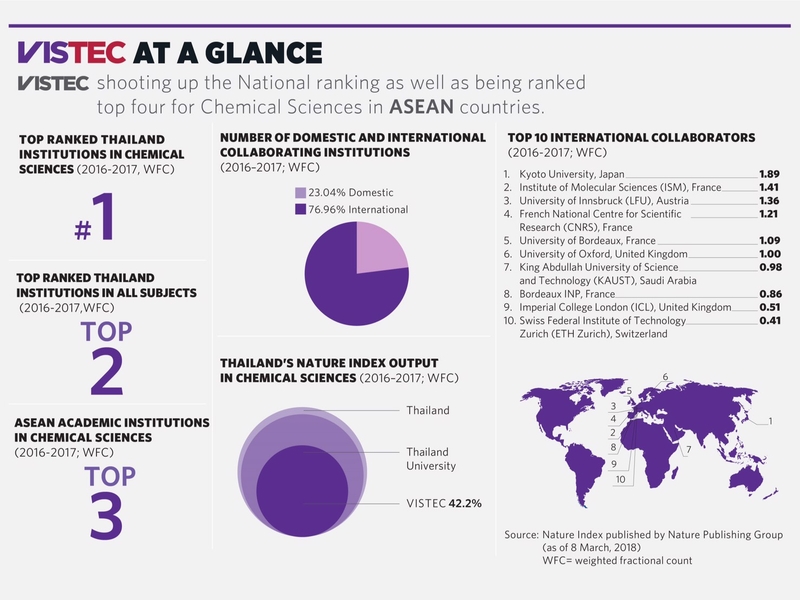 Especially, the nature index 2017 in chemical science shows that VISTEC comes in 3rd place in ASEAN's top universities and stands No.1 in Thailand.